It’s not common knowledge that Madison, often called the City of Four Lakes, actually gets its drinking water from an aquifer. The vast deposit of saturated sandstone sits hundreds of feet below Madison, providing the city with more than 10 billion gallons of water every year. “It’s a resource that we’re really blessed to have,” says Madison Water Utility water supply manager Joe DeMorett. But for how long? A recent study examining a decade’s worth of NASA data shows that 21 of the Earth’s 37 largest aquifers are being depleted. DeMorett admits that for decades, Madison’s aquifer was in a similar situation – much more water was being taken out than was coming back in. 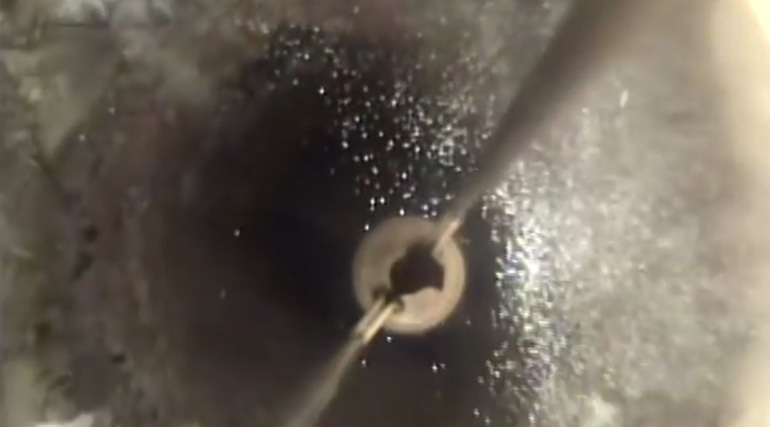 Madison currently has 22 municipal wells operating all across the city, but for more than sixty years, researchers have focused on one well in particular to monitor the aquifer. 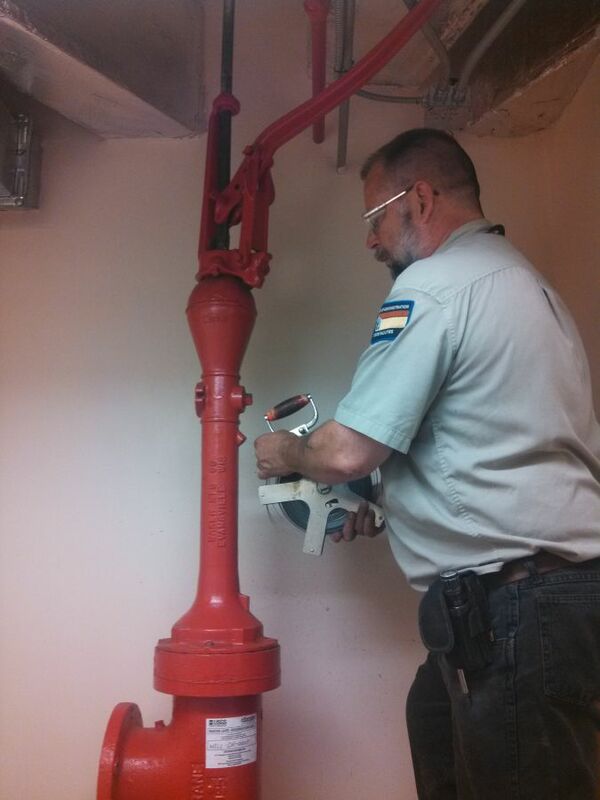 In a small room tucked away in the basement of Wisconsin’s capitol building sits a 141 year-old well that has never belonged to the city – it was installed to provide water and fire protection solely to the statehouse. These days, its old hand pump has stopped working and it doesn’t supply water to the capitol building anymore, but it does supply valuable data. Scientists from U.S. Geological Survey (USGS) have been tracking the water levels there for generations. “They were going to abandon it and the USGS stepped in and said, “No, we’ve got data back to the early 1900s, let’s keep it,” DeMorett explains. The data show that water levels in that part of the aquifer were on a decline from the 1950s to the late 1990s, dropping to a record depth of more than 130 feet in 1998. To some extent, the decline mirrors Madison Water Utility’s pumpage records, which show a steady increase in the amount of water pumped from the aquifer during the same time period. But in 2001, that started to change. Pumpage dropped and the aquifer began to recharge. 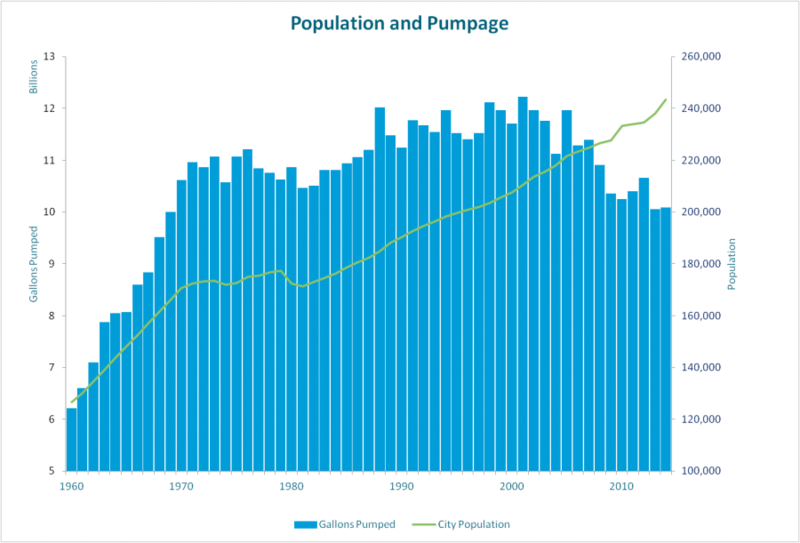 For DeMorett, the rebounding aquifer is great news, made even more impressive by the fact that Madison has 137,000 more people than it had in 1950. Despite the growing population, the water utility is pumping less water now than it has in decades. In 2014, its total annual pumpage was 10.6 billion gallons. Madison Water Utility has also been working hard to encourage consumer conservation. Its popular Toilet Rebate Program has saved an estimated half-billion gallons of water since 2009. And in 2014, the utility launched its web-based conservation tool that allows customers to track their weekly, daily and even hourly water use online. MWU is the first water utility in the Midwest to bring that kind of detailed usage data directly to customers. But it isn't just customer usage that's been a focus. Staff has been looking at the utility’s own pumpage patterns to better understand how each well impacts the aquifer. It’s hard to imagine running out of water in what has always been a water-rich city, but as global temperatures rise and weather patterns shift, Madison’s fortunes could change rapidly. DeMorett insists that’s why it’s critical to focus on conservation now as we look ahead to an uncertain future.